Alcatel MDR-8000 Repair, 100% Tested, 1-Year Warranty, Unparalleled Free Tech Support, NO Out-of-Box Failures - Period. The Alcatel MDR-8000 Series of microwave digital radios offer solid state, licensed and unlicensed, digital radios that provide transport for DS1, E1, DS3, OC3, STM-1 and Ethernet in 2, 4, 5, 6, 7, 8, 10 and 11 GHz RF bands. 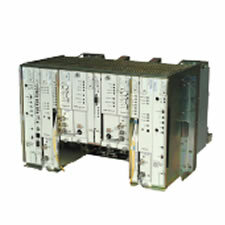 Digital capacities of 2, 4, 8, 12 or 16 DS1 channels are available at either 32 TCM or 128 TCM. Higher capacities such as 1, 2, or 3 DS3 channels will employ a 64 QAM modulation scheme. The MDR-8000s will support OC3/STM-1 transport.